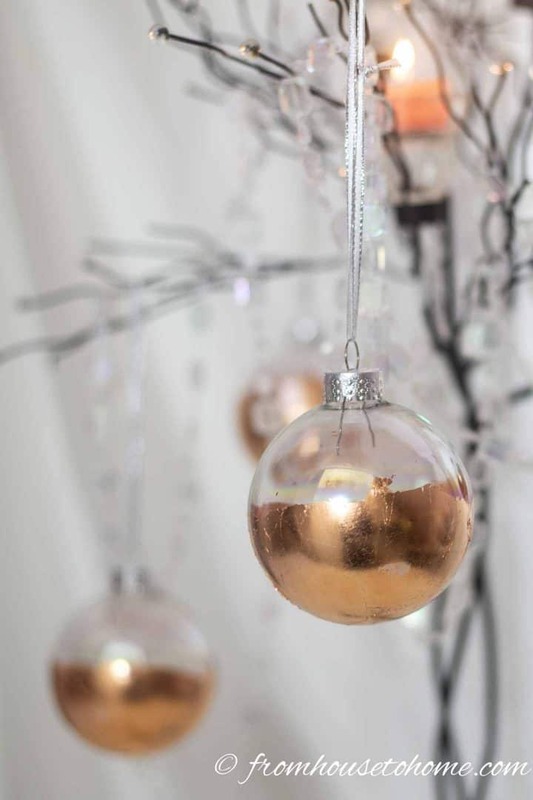 These DIY copper Christmas ornaments are super easy to make and will add an elegant touch to your Christmas tree decor this year. If you saw my pink and copper fall tablescape, you know that I’ve kind of fallen in love with that color scheme! 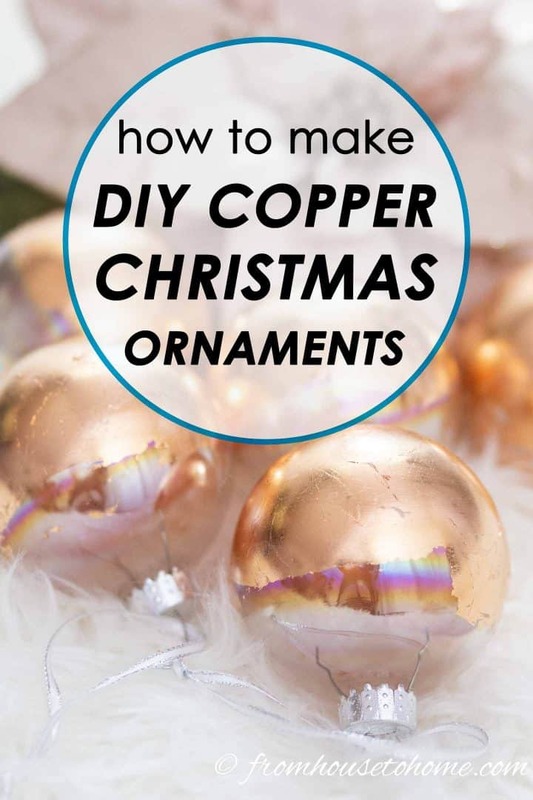 So I’ve decided to use it again on one of my Christmas trees, and these DIY copper Christmas ornaments are the first step to getting that done. Now that Halloween is over, I’m trying to get into the holiday spirit and get started on my Christmas decorations. It always takes a couple of weeks to recover my annual Halloween party. But since I had it a week early this year, I feel like I’m a little ahead of schedule. 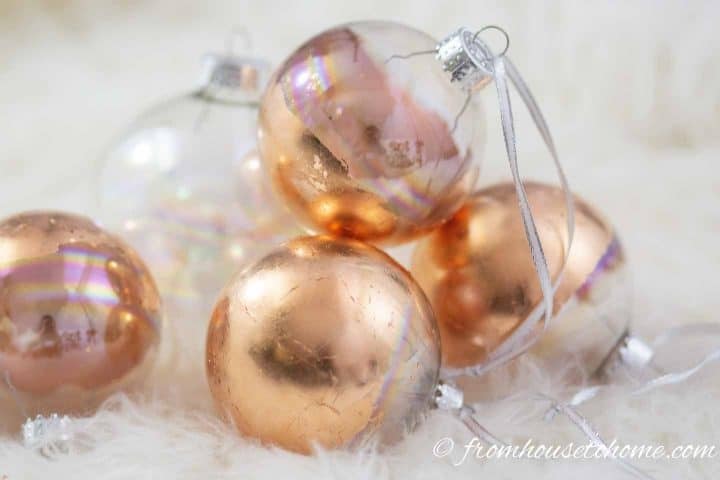 Okay, back to this year’s Christmas decorations… Since I loved my blush pink and copper fall tablescape so much, I’ve decided to use these colors for one of my Christmas trees. The problem I have is that I don’t have any copper Christmas ornaments and they’re really hard to find! Plus I don’t want to spend a lot of money on new copper Christmas decor. Which means a DIY project is in order! 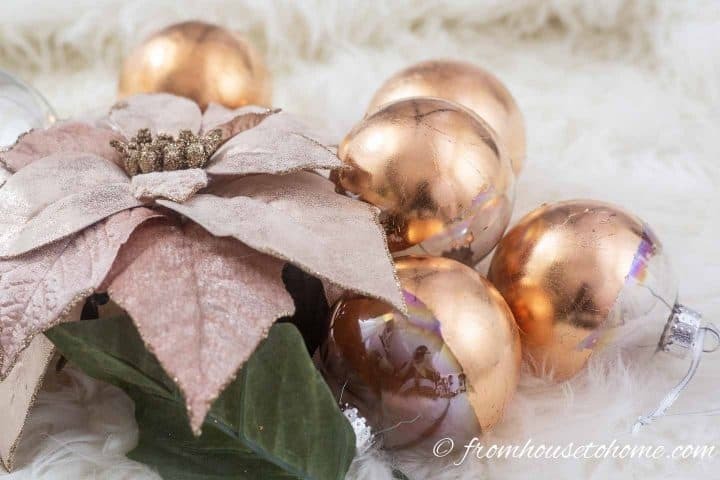 Fortunately, I have experience turning inexpensive holiday decorations into copper ones, like I did with the faux pumpkin makeover I did last year. And I just happen to have some supplies left over from that project, so I didn’t have to buy anything new. 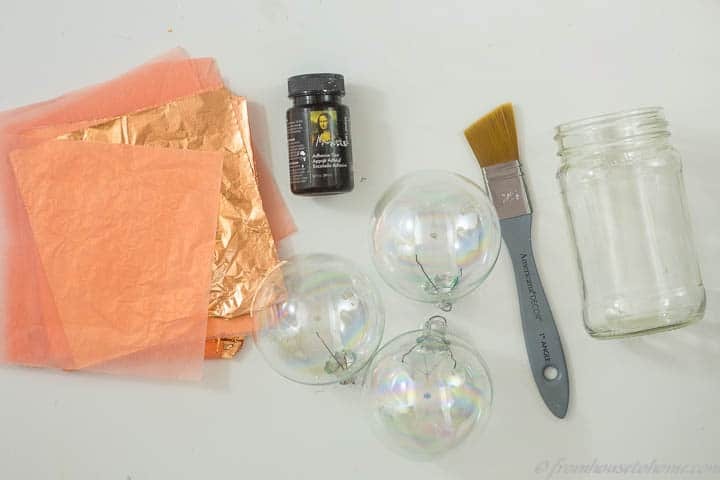 DIY copper leaf Christmas ornaments it is! Before we get to the actual DIY project…I should mention that you are in for a special treat today! 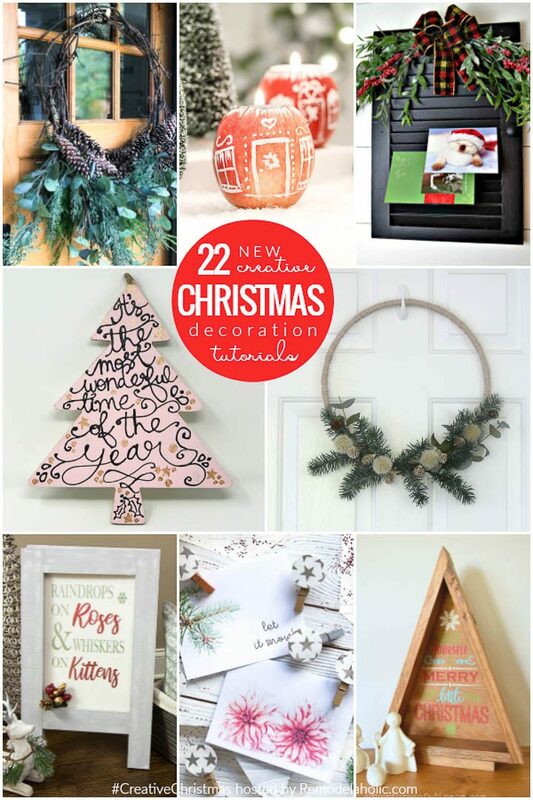 I have teamed up with a few of my blogging friends for the Creative Christmas Challenge hosted by Remodelaholic. 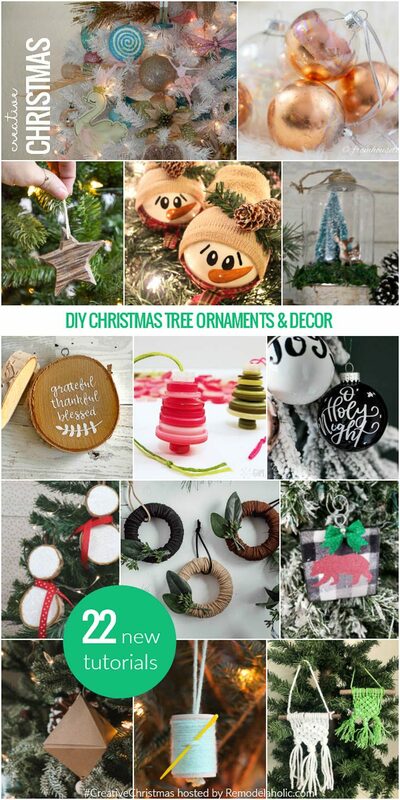 That means you have a whole list of DIY Christmas projects to browse through and plan for! You can find them all at the bottom of the post, along with a You Tube playlist. Yep! 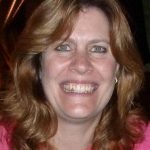 Many of them have videos! 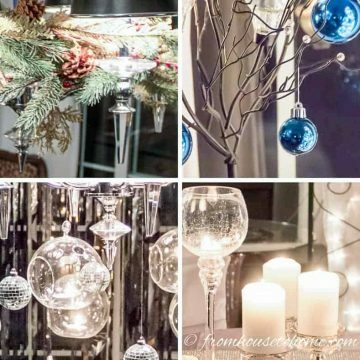 Christmas ornaments – I used clear glass balls, but you can use whatever color and shape you want. Plastic ornaments should work, too. Copper leaf* – of course, you can use any color of foil leaf that you want. 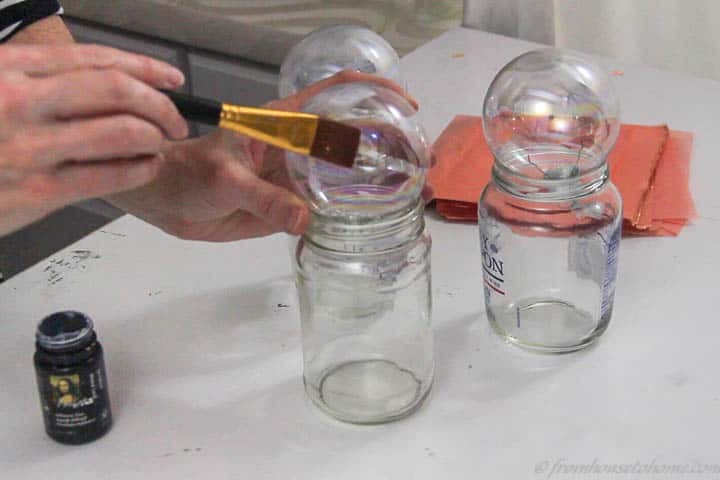 To make applying the adhesive easier, place your ornament in the mouth of the jar with the stem facing down. 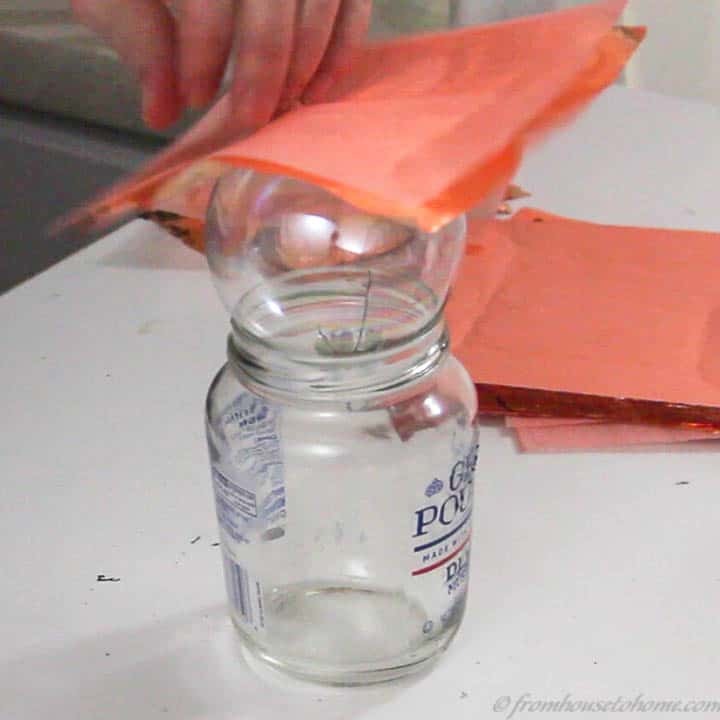 If you don’t have a jar or glass that will work, you can also cut a hole in a cardboard box. 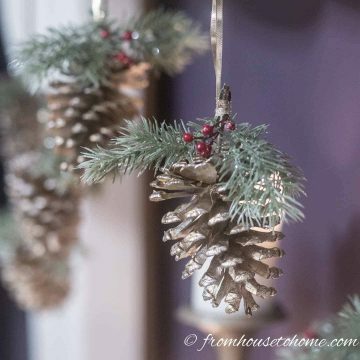 Use a small brush to cover the bottom of your ornaments with the leaf adhesive. Use a very thin layer. It doesn’t need very much to adhere the copper leaf. 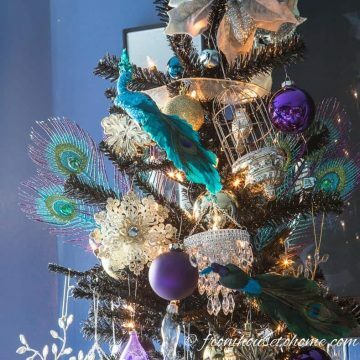 Since the adhesive needs to sit for a few minutes, you can apply it to all of the ornaments in your stand before going on to the next step. Now we’re going to apply the copper leaf. 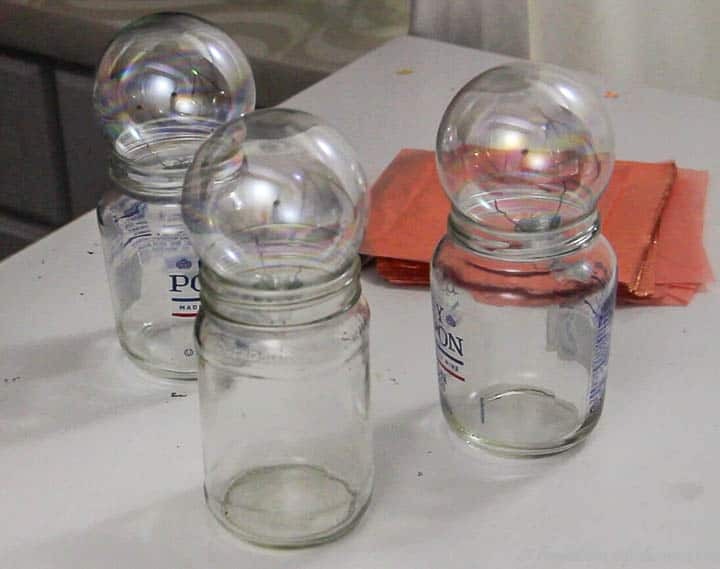 The glue should turn clear when it has set. Lift up the copper leaf with the tissue that comes with it. Press it down over the ornament and pat it so that the leaf sticks to the adhesive. Don’t worry if there are uneven bits, we’ll take them off in the next step. 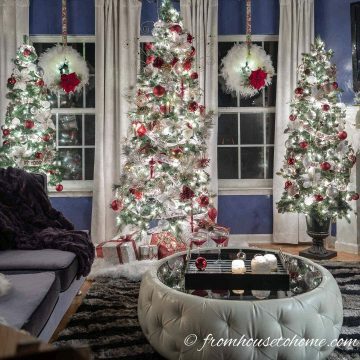 If you have a large ornament, you may need to use another sheet or two of the leaf to cover all of the adhesive. 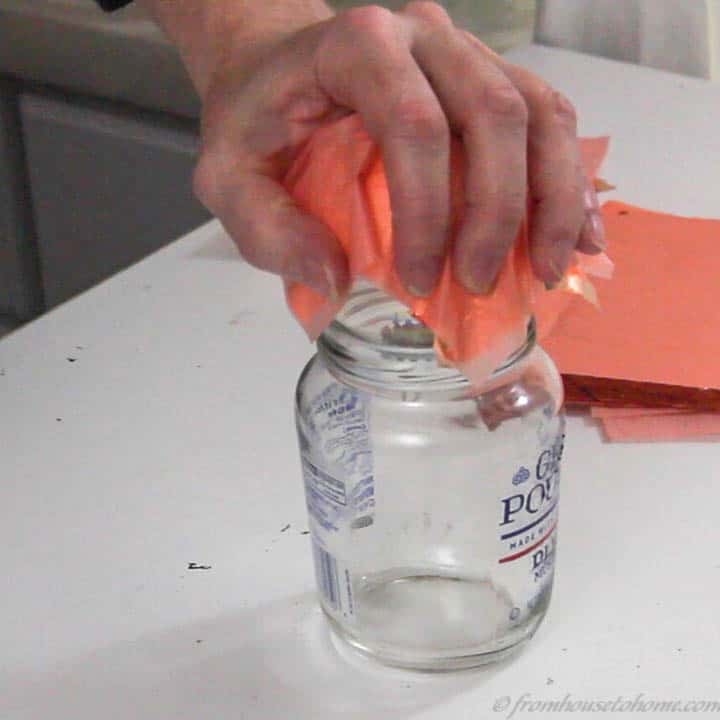 Use the tissue to gently the buff the copper leaf. This should smooth out any bumps on the ornament and remove any rough edges or bits that aren’t stuck to the ball. You will end up with uneven edges around the middle of the ball, but I like it this way. If there are any large gaps or you think the leaf was applied too unevenly, you can fill in the spaces by painting on some more adhesive and applying another layer of the copper leaf. 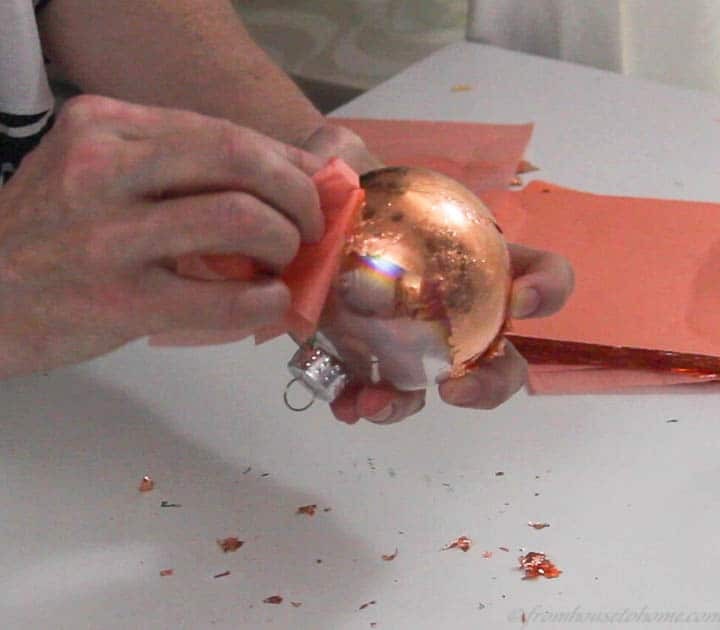 If you want the entire ornament to be copper, you can flip it over in your stand and repeat the process on the top half. Make sure to overlap the leaf on the bottom half so there isn’t a seam. Add a pretty ribbon to hang it with and you have some beautiful DIY copper Christmas ornaments! For now, I’ve hung them on a candle tree. But I’ll be using them on my blush pink and copper Christmas tree. Check back in a couple of weeks to see how that turns out! 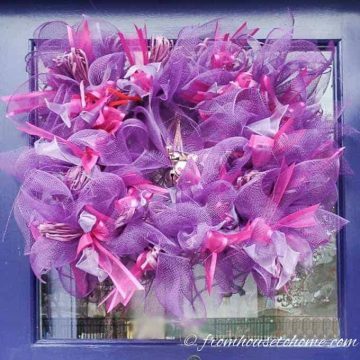 Modern Christmas Wreath | Sister’s What! 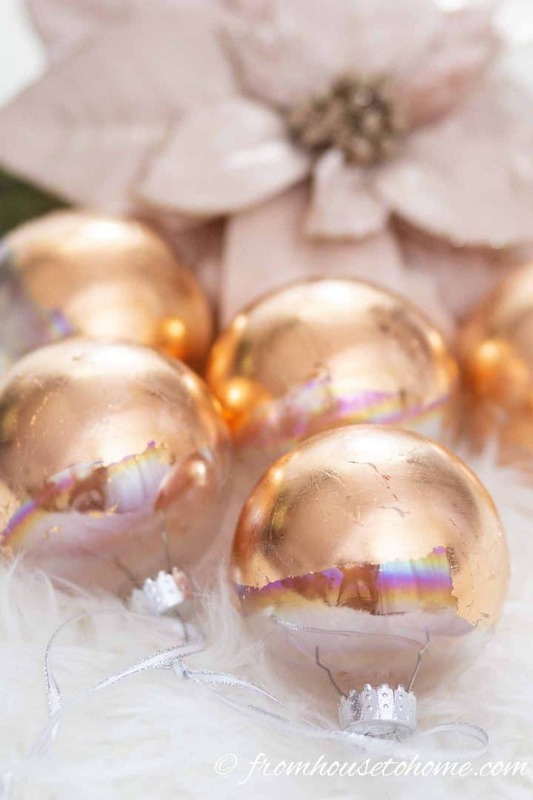 Have comments or questions about our DIY copper Christmas ornaments? Tell us in the section below. Wanda, these are just gorgeous! You inspired me to finally try gold leafing. I have some pink ornaments and am going to try to add gold to the bottom! These are so pretty, Wanda! I have fought with metal leaf before and never realized I was just doing it the hard way… duh! 😉 Thanks for joining Creative Christmas! These turned out gorgeous! 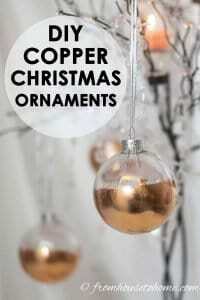 I never thought about making copper ornaments, I love this idea! I love these copper ornaments, your tutorial is really helpful too thanks! I love updating plain ornaments, and your copper ones are beautiful. They look pretty easy to leaf, thanks for the tips. You did great on your first video and I’m sure you’ll have many more very soon.